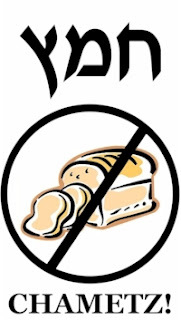 Each year, I print out these "Chametz Warnings" for the chametzdik cabinets and closets that we have sold, and without fail, at least one guest asks me to please share the file with him/her before Pesach next year. Well, I've decided to share them with all my DailyCheapskate readers too. Enjoy. I bought 2 sets of these 6 oz. 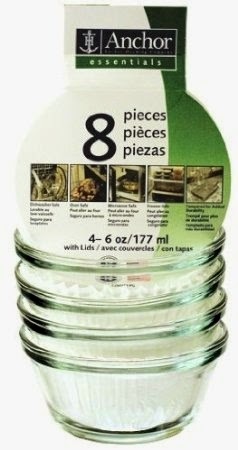 glass cups with lids these this year for $6.02 each with free Prime/SuperSaver shipping. I'm tired of dealing with the remains of the seder plate in between seders. With these cups, you just snap on the lid and it goes right in the fridge. You can just whip them out for the second seder and put them right on the plate. No ripped foil, no ziplocks, no gray horseradish, no mess. The spare two cups can hold extra charoset, salt water, etc. Prime/SuperSaver shipping), depending on which color you choose. 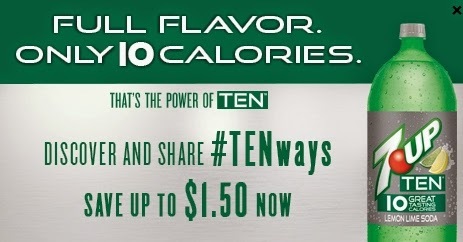 Share this socially and you will be able to print a $1.50/2 coupon for 2-liter bottles of 7UP-Ten sodas. 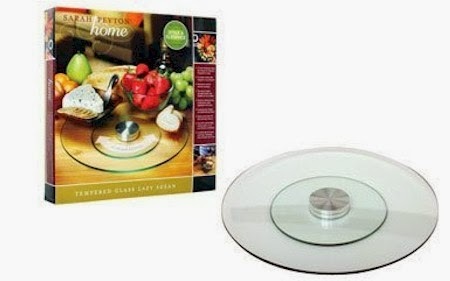 This glass Lazy Susan is still available at the same price....fantastic idea for the Seder foods if you've got a bunch of people coming over. After using one of these at a friend's house, I've been looking for one of these for months now, and I was so pleasantly surprised at the price here. 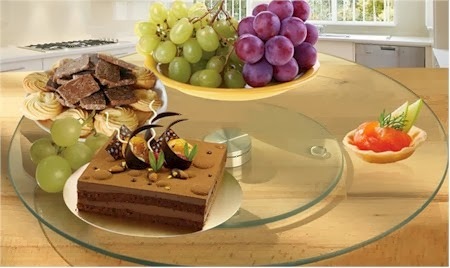 Get this tempered glass lazy Susan from Amazon for just $14.99 with free Prime/SuperSaver shipping. These things are fantastic if you routinely host largish meals around a smallish table (i.e. Shabbos meals). You can put a bunch of small dishes on here and rather than have to pass them, guests can just swivel the top. It's also very dramatic-looking when it. holds candles, flowers, centerpieces, etc. And the price is definitely right on this one. I picked up one for now, one for Pesach (perfect for the Seder). 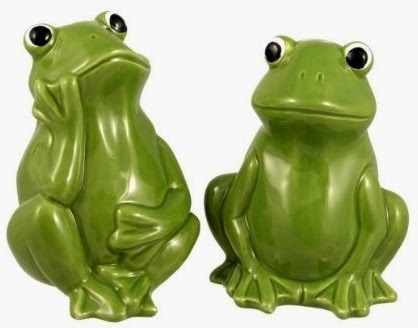 Because it's glass, it will pretty much coordinate with any style tableware, modern, traditional, etc. 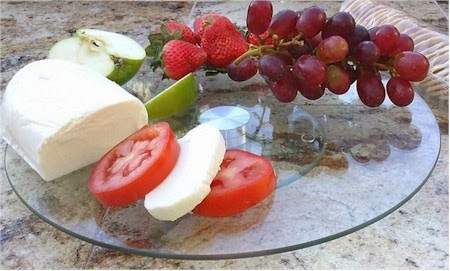 12-inch tempered glass lazy Susan for entertaining guests in style. Turntable rotates 360 degrees in any direction. Aluminum core for smooth swiveling. Two-tiered design provides beauty and stability on any surface. Glass construction for fast and easy cleanup. 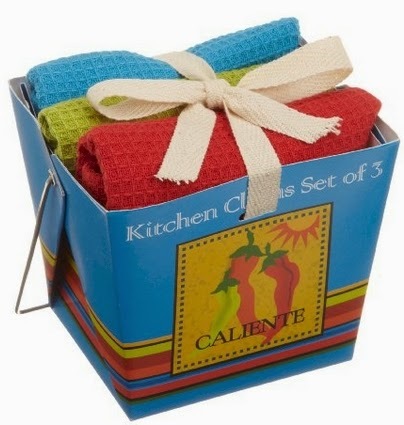 Amazon has got a nice deal on 100% cotton dishtowels in "Caliente" colors: $6.30 with free Prime/SuperSaver shipping for a set of three dishtowels that come folded up neatly in a little takeout box ($2.10 per cotton towel). 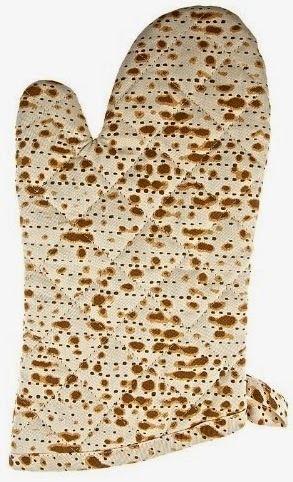 Searching for new potholders and oven mitts for Pesach? 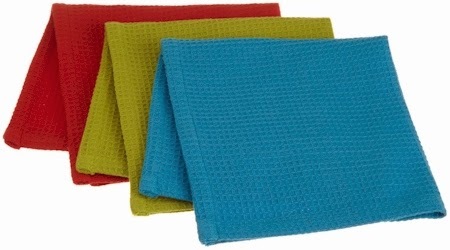 Amazon has got this set of three potholders available in ten different colors for $6.60 with free Prime/SuperSaver shipping ($2.20 per potholder). 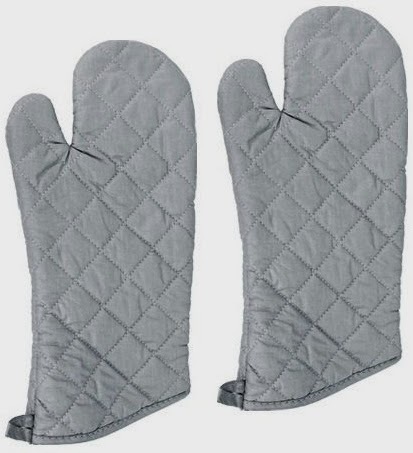 Each measures 7 x 7"
And for practical oven mitts, this set of two New Star Commercial Grade Silicone 17" cloth oven mitts is $6.45 with free Prime/SuperSaver shipping ($3.23 per oven mitt). 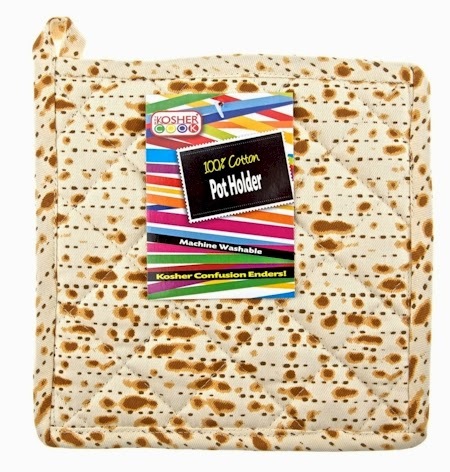 This 100% cotton matzoh-patterned pot holder is $4.99 with free Prime/SuperSaver shipping from Amazon. 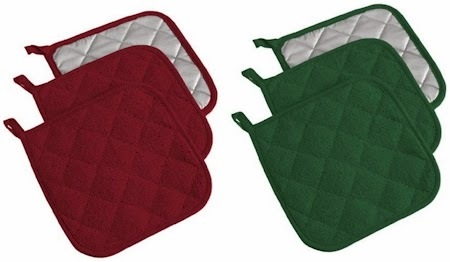 The matching oven mitt is $7.49 with free Prime/SuperSaver shipping. 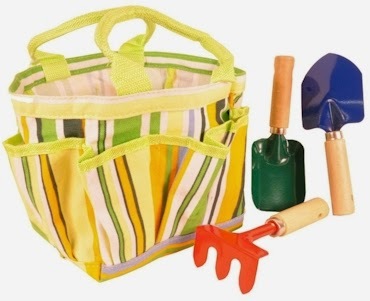 Amazon has got this children's gardening set (with tote) for $9.89 with free Prime/SuperSaver shipping. 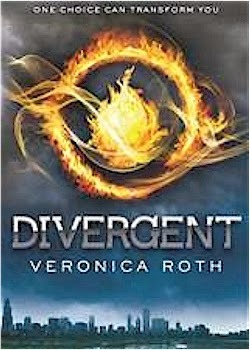 Get Divurgent by Veronica Roth for only $5.49 with free Prime/SuperSaver shipping: Debut author Veronica Roth bursts onto the Young Adults scene with the first book in the Divergent series—dystopian thrillers filled with electrifying decisions, heartbreaking betrayals, and stunning consequences. This Caravan Canopy Zero Gravity Reclining Chair with Adjustable Headrest in either beige/black or blue/black is at it's lowest price ever posted on Amazon, $38.56 with free shipping. 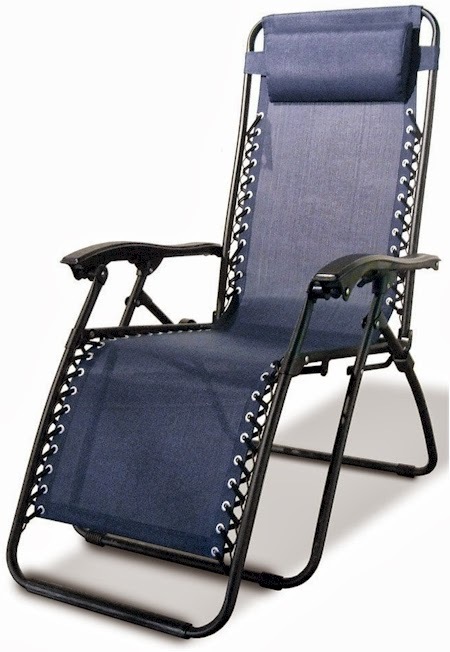 Reclining in a zero-gravity chairs is like sitting on a cloud, and they rarely go on sale, so I was very pleased to see this one come up as an Amazon price drop. These chairs fold down very small, so they are perfect for any size outdoor space. High strength and durable powder coated steel frame. Long lasting outdoor grade fabric (textilene 2X1). Folds down to only 5-1/2-inch thick. Smooth recline function that locks in any position. Got a little one? 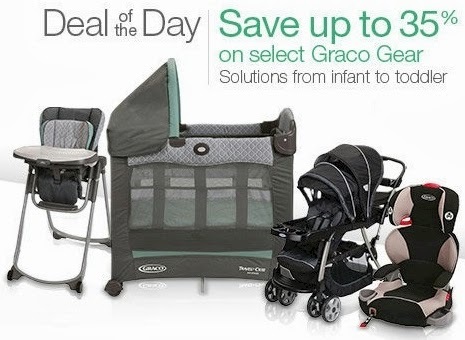 Amazon's Gold Box Deal of the Day today, 3/30/14, is on select Graco gear, including Pack 'N Plays, strollers, high chairs and more. Have you discovered AllergyFreeKosher yet? It's a great site with lots of gluten-free, allergy-sensitive kosher-for-Passover foods. Even if you aren't gluten-free, there are a ton of gebrukts-free items available at prices significantly less than most other online sources. 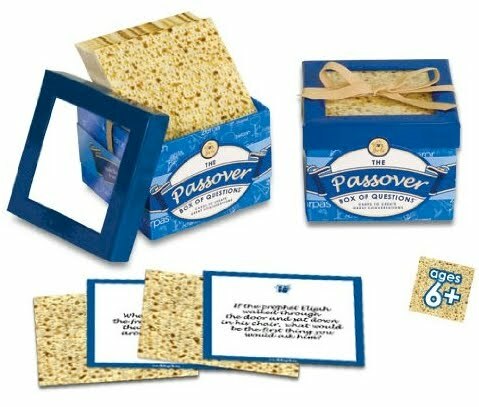 And to sweeten the deals, take 10% off all Pesach food on AllergyFreeKosher.com when you enter promo code DAILYCHEAPSKATE at checkout. You can also stack this 10% discount with the volume discounts (on quantities of 3 or more available on every item). Free shipping on orders of $49.00 or more and free delivery on orders of $15.00 or more in the Baltimore metro area. 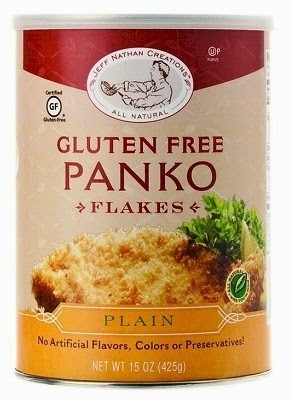 Jeff Nathan Creations Chef Gourmet Panko Plain Gluten Free, 15-oz. (OU-P) is priced at $7.99. Buy 1-2, price drops to $7.19 after promo code. 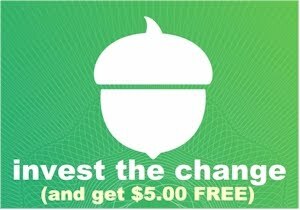 Buy 3-5, price drops to $7.08 after promo code. Buy 6+, price drops to $6.98 after promo code. 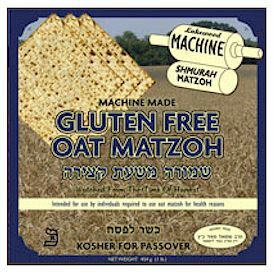 Lakewood Gluten-Free Oat Matzoh is priced at $25.99 for a 16 oz. box. Buy 1-2, price drops to $23.39 after promo code. Buy 3-11, price drops to $22.94 after promo code. 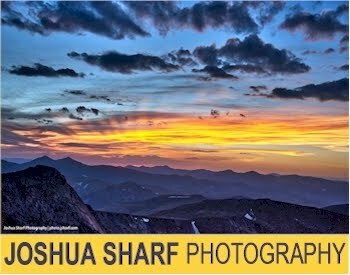 Buy 12+, price drops to $22.49 after promo code. Oberlander Rainbow Cookies, 12 oz. box, is priced at $6.99. Buy 1-2, price drops to $6.29 after promo code. Buy 3-11, price drops to $6.17 after promo code. Buy 12+, price drops to $6.02 after promo code. 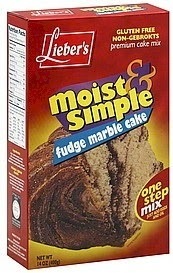 Lieber's Gluten Free Fudge Marble Cake Mix 14oz. is priced at $4.29. Buy 1-2, price drops to $3.86 after promo code. Shop around, this promo code is good on all Passover goods on AllergyFreeKosher through the end of Pesach. 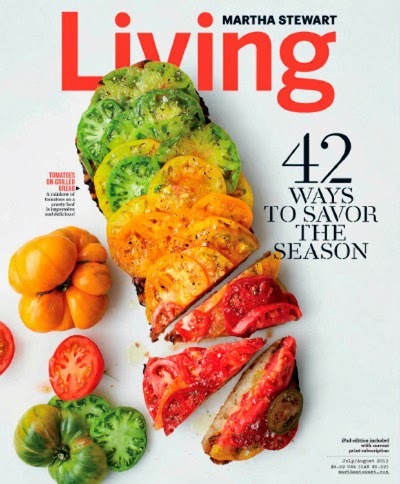 Today, 3/30/14 only, get a year's subscription to Martha Stewart Living (12 issues) from DiscountMags for $14.99, when you click here and enter promo code DAILYCHEAPSKATE at checkout. You can lock in this price for one year only, but it's good on new subscriptions, renewals and gift subscriptions. I can't believe the markdown on this. 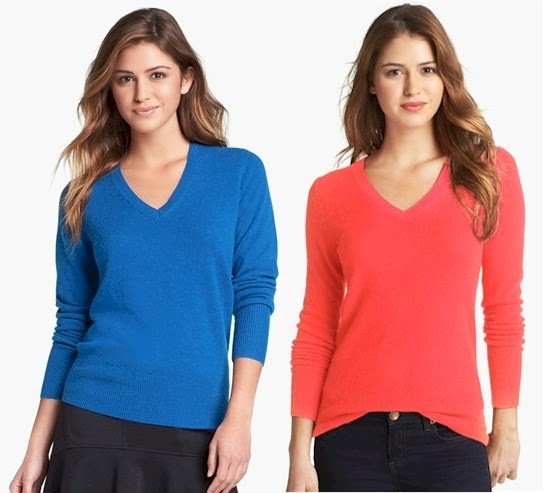 Nordstrom has got this Halogen v-neck 100% cashmere sweater (originally $79.00) for $39.90 with free shipping and free returns. I confirmed with my contact at Nordstrom that this was not a pricing error. 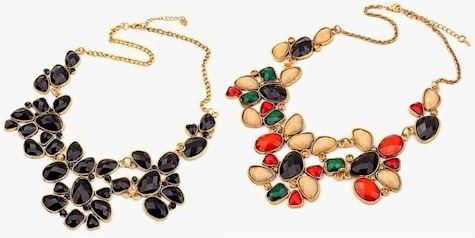 This style comes in two colors, sizes x-small through x-large. If those two colors aren't your taste, no worries, because there's also this style, very similar to the one above, 100% cashmere Halogen v-neck sweater, also for $39.90. Since this offer is new, it's still available in all 7 colors, in sizes x-small through x-large, but these will sell out fast. Nordstrom sales are a great source for designer clothing in high-quality fabrics and cuts for incredible prices. And since all shipping and all returns are free sitewide at Nordstrom, you can purchase risk-free and worry-free. 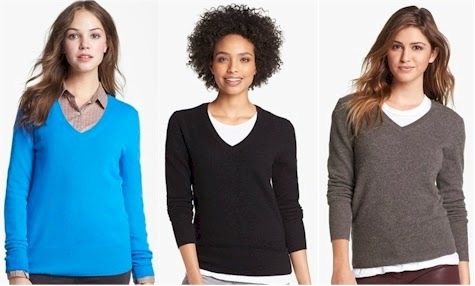 Nordstrom also has 100% cashmere sweaters in plus sizes on clearance over here and over here for $44.49 with free shipping and returns. 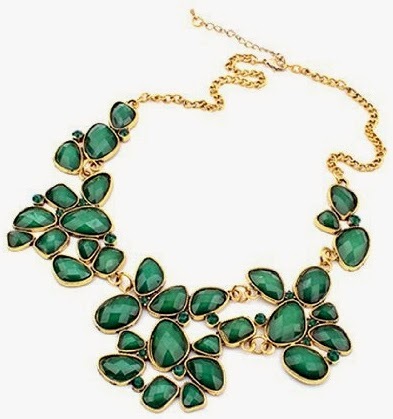 This is probably one of the best designer buys for Nordstrom that I've ever posted! 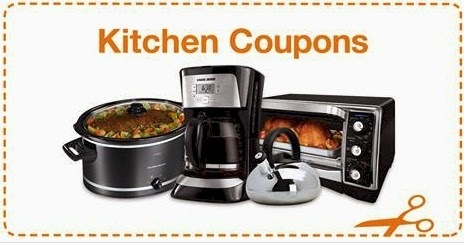 Price drop + $10.00 coupon = LOWEST PRICE on highly-rated Hamilton Beach 8 quart slow cooker, $24.87!! UPDATE: That $10.00 instant coupon maxed out on the number of uses has expired. Wow! 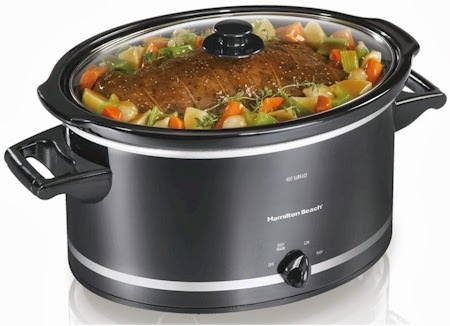 This Hamilton Beach black 8-quart slow cooker just dropped to its lowest Amazon price ever, $34.87, but there is also a high-value $10.00 Amazon instant coupon on it, dropping it ever further to $24.87 with free Prime/SuperSaver shipping. This slow cooker is huge: 8 quarts, which makes a lot of chulent. We are thinking of getting this for Pesach and then using it for during the year, for those times when we have a lot of company, or just when I want to make a giant batch of soup for freezing, or I want to slow-cook a roast or a large chicken, etc.. I can't see the price getting any better than this. This slow cooker got stellar reviews, 4.4 out of 5 stars over 401 customer reviews (and of those 401 reviews, 355, or 89% gave this item 4 or 5 stars). Print your coupon for $0.70 off any one Kashi cereal here. Amazon has got this Bormioli Rocco Misura 1-liter carafe for $4.99 (lowest price ever posted on Amazon) with free Prime/SuperSaver shipping. This Italian-made glass carafe is lead-free, BPA-free and dishwasher-safe. We always use a carafe or a fancy glass/crystal bottle to hold the grape juice on the Seder table. 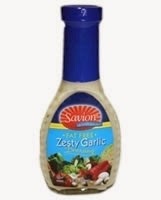 Amazon has got a 6-count pack of Savion KFP Zesty Garlic Salad Dressing for $16.14 with free Prime/SuperSaver shipping. That works out to $2.69 per 8 oz. bottle, shipped. Wow! 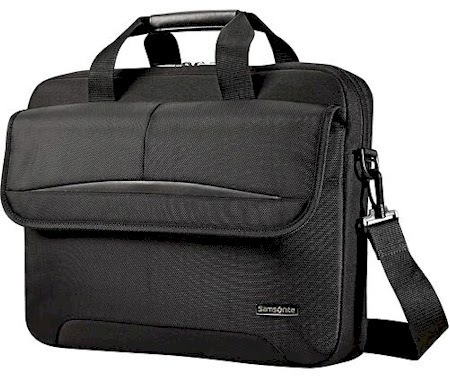 Best Buy has got this Samsonite laptop briefcase for $12.99 (was $29.99). This briefcase holds laptops up to 15.6". Shipping adds $1.99 or is free with a $25.00 purchase. If you need a briefcase for a larger laptop, this Samsonite briefcase over here is on sale for $14.69 with free shipping, and will hold up to a 17" laptop. 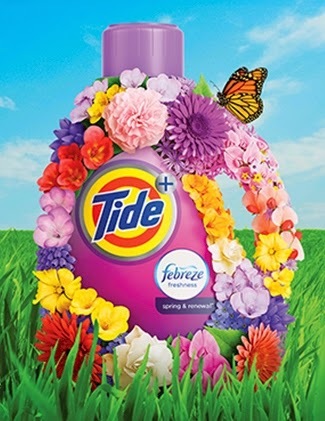 Request your free sample of Tide from CVS here. Please note that the sample will arrive via postal mail, you do not need to live near a CVS to claim it. Two cooking challenges that the Seders represent: 1) the widespread minhag (custom) not to eat roasted meat or poultry on Seder night and 2) not being able to prepare for the second Seder until an hour after sundown on the second night. The first challenge requires most people to get creative for their Seder menu selections and the second one forces most people to cook in advance, so on second Seder night, you are just re-heating your meal to get it ready in time. I have several friends who overcome both of these challenges with a pressure cooker. My friend Minna says she can cook a 5 lb. brisket in under 40 minutes, and the meat is tender, moist and incredibly delicious. So for second seder night, she just puts in the roast when they drink the first cup for Kadesh, and by the time they are up to Shulchan Aruch, the meat is perfectly cooked. No advance cooking necessary. She also makes chicken in the pressure cooker and apparently it comes out so tender, the meat practically falls off the bone. I've been tempted to buy a pressure cooker for Pesach but I tend to be fairly incompetent in the kitchen and I've always been afraid that if I use a pressure cooker, I'll blow up my house. 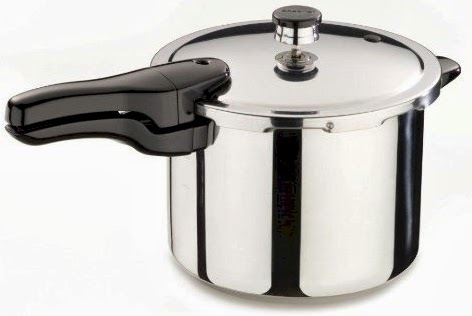 Amazon has got this 6 quart stainless steel Presto pressure cooker for $45.99 with free shipping. It got 4.5 out of 5 stars over 1,467 customer reviews. I read many of the reviews, and apparently, you don't need to be Julia Child to use it efficiently, and it has a failsafe lock that prevents you from opening it before the pressure vents out. It's stainless with a tri-clad flat bottom, so it cooks on all cooking surfaces, including induction stoves. I think I just might need to dive in on this one this year. What I like about this game is how the questions seem so open-ended. Different personality types/ages of kids could take these questions in very different directions. Because this is a Melissa & Doug toy, the quality is high. 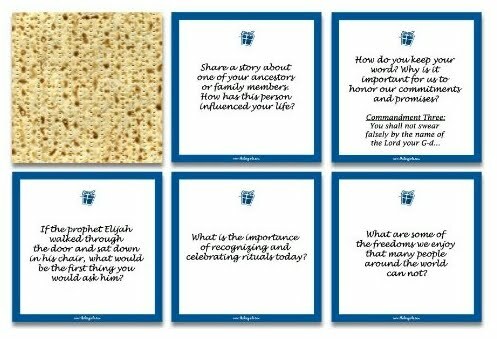 The questions are printed on heavy-duty card stock, and each one is designed to look like a little mini-matzoh. Cute! Amazon has got this pretty Anchor Hocking Heritage Hill Glass 1-gallon Cookie/Candy Jar for just $7.44 with free Prime/SuperSaver shipping. I can think of so many uses for this jar, I don't know where to start. For matzoh meal or potato starch, or homemade cookies or Pesach rolls or cereal, or pretty much anything. It got 4.4 out of 5 stars over 472 customer reviews. 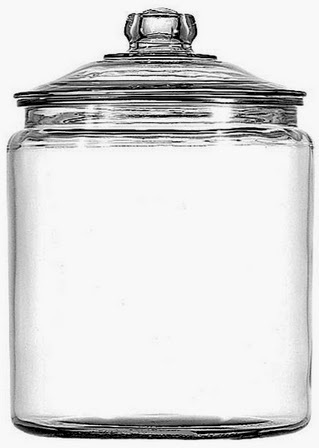 Vintage-style glass storage jar with 1-gallon capacity. Great for use storing cookies, sugar, flour and other kitchen staples. 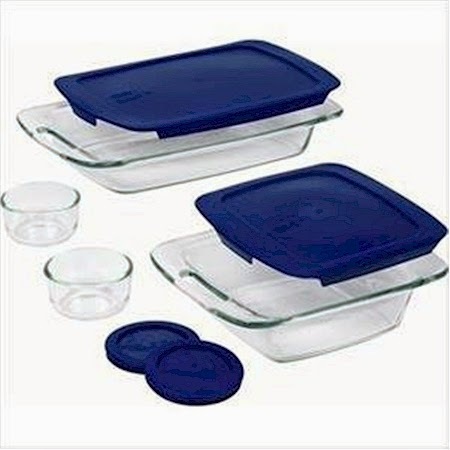 Includes glass lid with thick knob for easy removal. Classic design looks great anywhere. 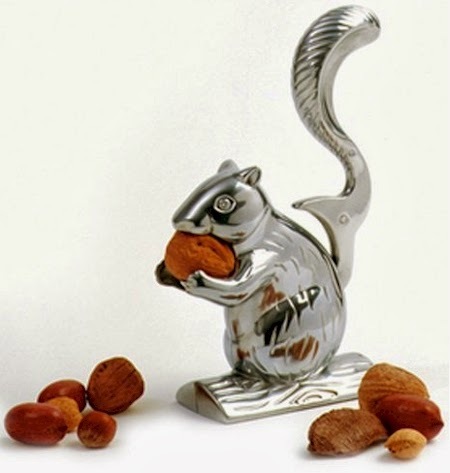 Great for cookies, candy, biscuits and more. Made by Anchor Hocking in the USA. 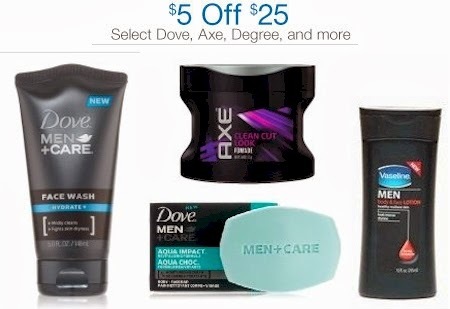 Get $5.00 off $25.00 on men's grooming products (Axe, Dove, Degree and more) on Amazon, here. Just add $25.00 worth of anything on this page to your cart, and $5.00 will drop off in your shopping cart, no promo code needed. Spring is finally here! 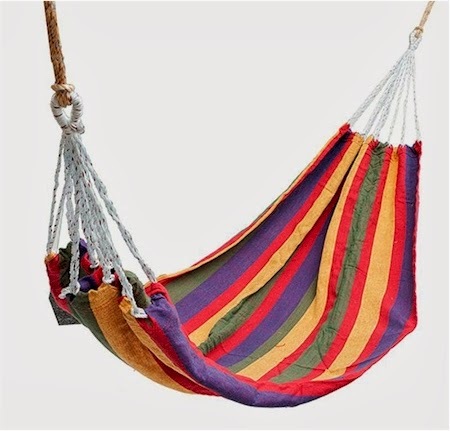 Tanga has got this 6-foot cotton fiber traditional Brazilian hammock for $9.99 + $4.99 shipping = $14.98 shipped. Lay-on made with 100% recycled cotton fibers. Lay-on dimensions: 72” x 36”. What’s included: hammock, storage bag. 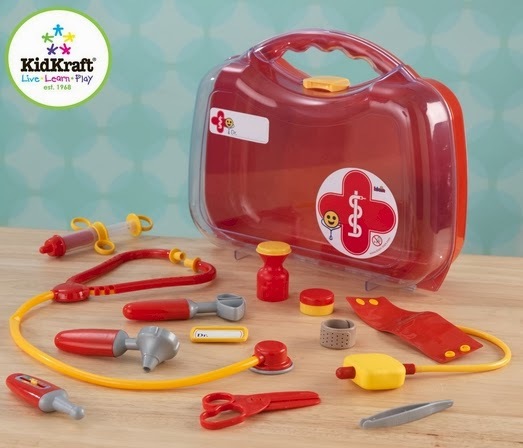 Amazon has got the KidKraft Doctor's Kit down to $22.09 with free Prime/SuperSaver shipping. (FYI, Overstock has it for $34.99 and it's running for about $24-$32 everywhere else.) It got 4 out of 5 stars over 23 customer reviews and will make for a great Afikoman gift for your budding Albert Schweitzers. 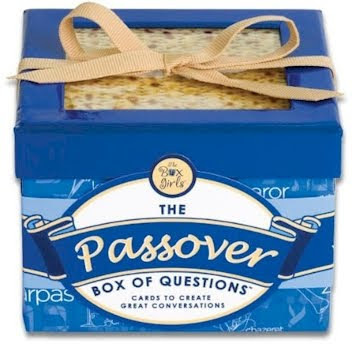 Makes for an unusual Pesach hostess gift, too. 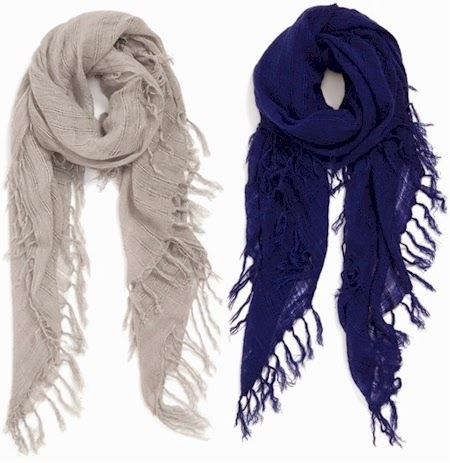 Nordstrom has got these Lulu fringe scarves on sale at half-price: $8.90 with free shipping and free returns. They come in 4 colors. I just got the white and rose for spring. 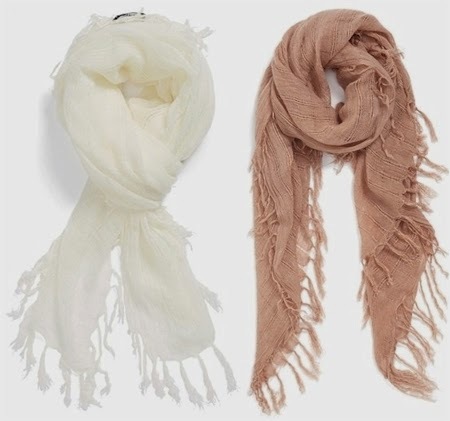 I do love going scarf shopping (scarves will never make you look fat).